Your Molokini Snorkel Adventure Awaits! Maui Snorkel Charters trip out of Kihei boat ramp is hands down the best snorkel trip we’ve ever been on in over 25 years of coming to Maui. Are you ready for an adventure that’ll make you smile for DAYS? We revel in the fact that no two days are alike, which is why we built a custom boat to accommodate changing conditions and offer a unique snorkel tour on every trip. When you join our Molokini snorkel tour, we’ll take you to the spots with the best snorkeling that day. While other tours also go to Molokini, we’re the best option to for a customized group tour, taking you to all of the best spots around South Maui. You’ll get lots of personal attention from us, too, because we don’t overcrowd our boat. Molokini may be main attraction, but you’ll see so much more! You’ll visit up to 7 snorkel sites, depending on conditions (the most of any snorkel tour on Maui!). Your four and a half hour adventure begins at 7:45 am (7:15 am check in) – late enough to sleep in, but early enough to get back before the trade winds pick up in the afternoon. You’ll depart from the Kihei Boat Ramp, a 5 minute drive from most Wailea Resorts and within walking distance of many Kihei condos. This prime location allows shorter transit times to Molokini and the South Maui Coastline, which means you’ll spend less time getting places and more time snorkeling! When you arrive at 7:15 am, our team will meet you and have warm drinks and a snack waiting. Get settled in while our crew prepares your sanitized snorkel gear and wetsuit tops ensuring proper fit and comfort. At 7:45 am sharp, we’ll depart for a 10-minute ride to Molokini, during which time you can enjoy a breakfast of fresh Maui pineapple, muffins and a variety of cold beverages while you learn about the important ecological role of Molokini and how to most effectively use your snorkel gear. Whether it’s your first time snorkeling or your 100th, our crew covers everything you need to know for the best snorkel possible for that day. Then the real fun begins. 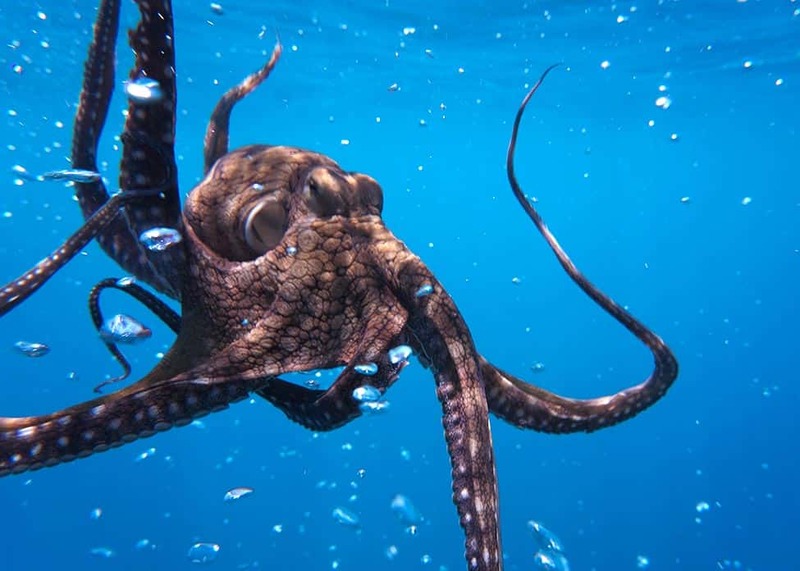 At Molokini, you’ll see plenty of beautiful fish, coral, shells, octopi, and a host of other interesting sea life. Our crew will be in the water with you the entire time not only to ensure your safety but also to point out some of the most overlooked marine life. The fun doesn’t stop after Molokini. Next, your captain will pick the best secluded snorkel spots based on the day’s conditions. If Maui’s really showing off, you might explore up to 7 sites, including Turtle Town, Blue Lagoon, and Pu’u Ola’i (Red Hill). Keep your eyes out for special guest appearances along the way from dolphins and, between December and April, humpback whales! To wrap up your Best Day Ever, we’ll sit back, relax, tell some “big fish” stories and enjoy a delicious deli style lunch. You’ll be back at the Kihei Boat Ramp around 12:15 – 12:30 pm, leaving your entire afternoon free for another Maui adventure. 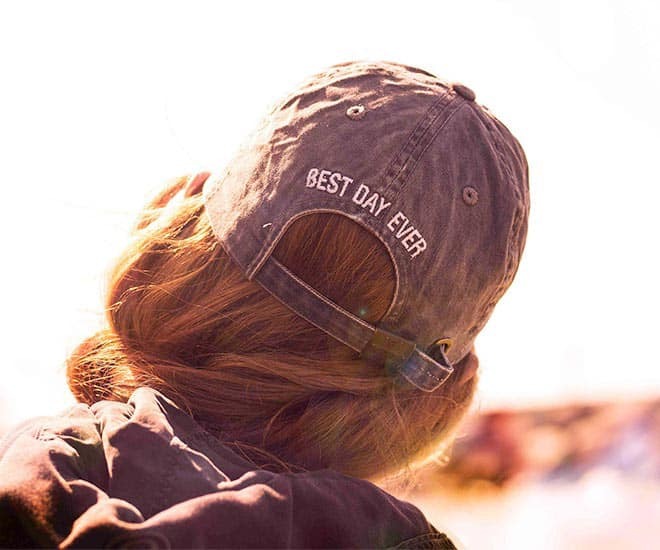 We don’t offer afternoon tours because of our commitment to always showing you the Best Day Ever! The trade winds pick up in the afternoon which makes the ocean rough… and we’ve found it’s just not as much fun with strong winds and water blowing in your face! We make it super easy for you to get going on your adventure – all you have to do is wear a swimsuit and bring a towel! as it is damaging to the reef and the boat. We are family friendly! And it’s our priority to provide the best experience on the water despite age or physical limitations. However, your safety comes first. Our minimum excursion age is 5 years old and is not intended for pregnant women. Due to the adventurous nature of the ride, please use discretion if you have a back or neck injury or are recovering from a recent surgery. Please call with questions or concerns about your specific situation. If you’re looking to go on a snorkeling adventure and want to see the most places in one trip, than look no further. Molokini Crater is considered by many as the #1 “must-do” adventure on Maui, and is the first stop on the trip. The crater is home to more than 250 species of marine fish, some of which can be found nowhere else on Earth. We’ll spend enough time here to see multiple spots around the crater before moving on to other great locations. 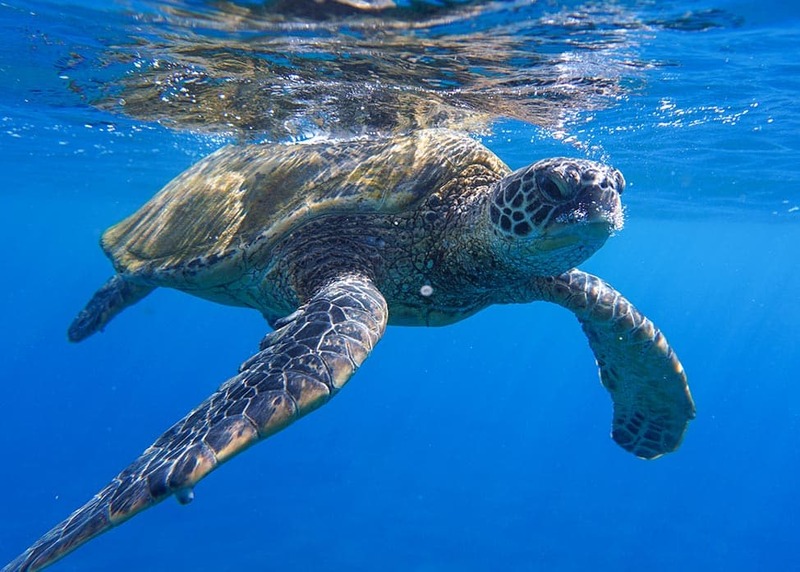 Beyond Molokini, you’ll have a chance to explore places like Turtle Tow,n known for the high concentration of green sea turtles that like to hang out here. Pu’u Ola’i (Red Hill) off the coast of Makena State Park known for spotting eagle rays. We get to show you so many more snorkel spots than you’ll see on other tours because of our Seafari™ approach. Just like an African Safari, we guide you through an area rich with beauty and wildlife during one snorkel ‘stop’. Our crew will be in the water with you, drifting from spot to spot, pointing out coral and other marine life along the way, as our boat floats along with you. Because you are not constantly swimming out to a snorkel spot and back to the boat, you get to see way more with less effort! 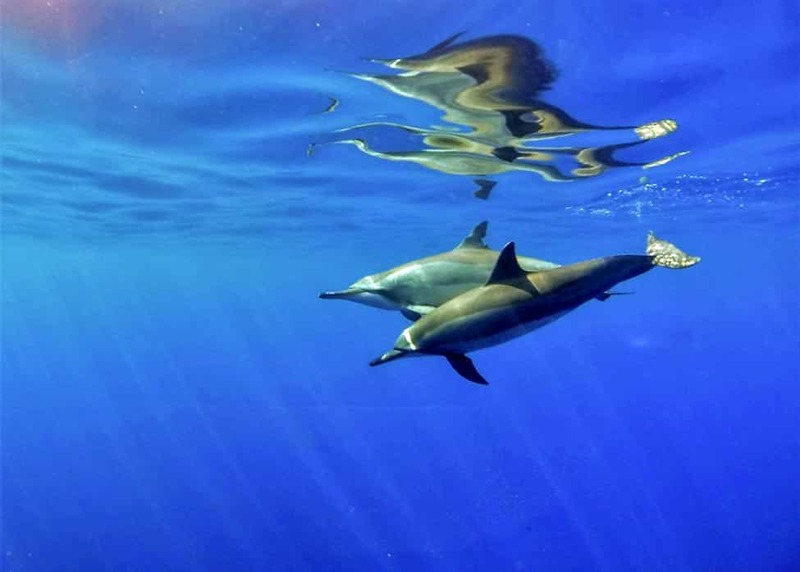 Book with Maui Snorkel Charters now and know you’ll see the best snorkeling on Maui. The Best Snorkeling – see the best snorkeling available that day – tropical fish, sea turtles, octopi, dolphins, coral reefs, and more! 4.5 Hour Tour – see Molokini + up to 6 other spots (7:45am – 12:15pm). Seafari™ Style – See more with less effort. The No Ka Oi – You’ll have a blast aboard our custom-built adventure boat. Comfort – our boat is built for 26, but we only take 18 guests. There’s plenty of room! Attention – we have the highest crew to passenger ratio (6:1) so there’s always someone to help. Lifeguards – Unlike many other boats, a lifeguard is always in the water with you. Meals Included – Light breakfast & deli style lunch included. Gear Included – Just wear a swimsuit and bring a towel – we’ll provide everything else! When you join our Molokini snorkel tour, we’ll take you to the spots with the best snorkeling that day. While other tours also go to Molokini, we’re the only option to for a customized group tour, taking you to all of the best spots around South Maui. You’ll get lots of personal attention from us, too, because we don’t overcrowd our boat. The Best Snorkeling – guaranteed to see the best snorkeling available that day – tropical fish, sea turtles, octopi, dolphins, coral reefs, and more! We get to show you so many more snorkel spots than you’ll see on other tours because of our Seafari™ approach. Just like an African Safari, we guide you through an area rich with beauty and wildlife during one snorkel ‘stop’. Our crew will be in the water with you, drifting from spot to spot, pointing out coral and other marine life along the way, as our boat floats along with you. Because you are not constantly swimming out to a snorkel spot and back to the boat, you get to see way more with less effort! No other tour I’ve ever been on caters to the customer like they do. If you’re snorkeling in Maui, you MUST call Maui Snorkel Charters! Maui offers some of the best snorkeling in the world, and we’ll show you the best spots available for the conditions on the day of your trip. You can expect to see tropical fish, sea turtles, octopi, dolphins, and coral reefs. 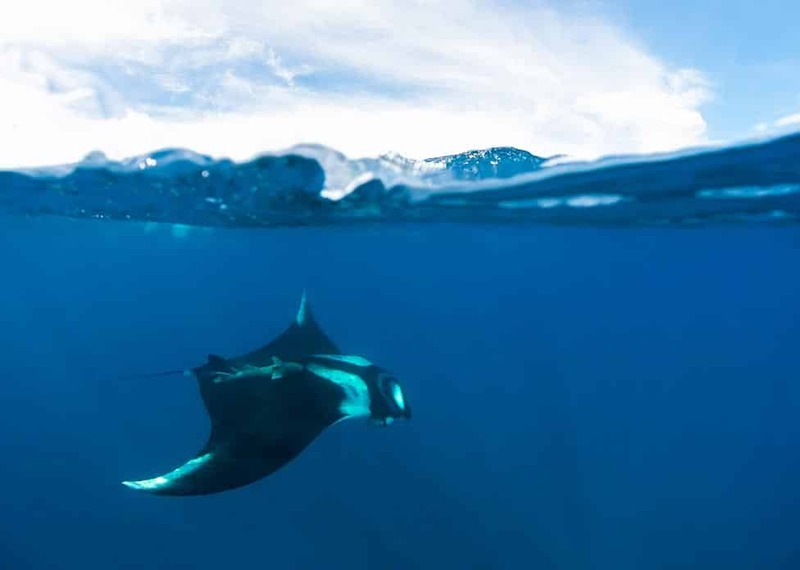 Many of the wildlife found in Hawaiian waters is found nowhere else on Earth! Regardless of what time of year you come out with us, you’re in for an incredible and unique adventure! The #1 “must do” adventure on Maui provides world famous snorkeling and is home to more than 250 species of fish. Also known as Red Hill, you'll explore a shallow area where you’ll see shells galore amidst the crystal clear water. Located along Maui’s south shore, this spot is known for its large population of Hawaiian green sea turtles. We always customize our tours to adjust for weather and ocean conditions to ensure we can deliver an incredible and memorable experience. Here are some of the spots we visit when conditions permit: La Perouse Bay, Makena Surf, St. Anthony’s Wreck, and Kihei Turtle Cleaning Station.